James Patterson is a gay accountant living in Keyes, Oklahoma - deep in the Bible Belt - the religious heartland of America. He's also the first person to make contact with an extraterrestrial intelligence seeking to understand our world, and that makes him the most important person on the planet. 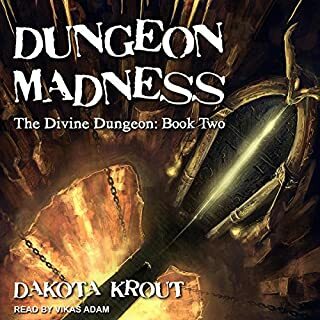 To be perfectly honest, when the audiobook first started I wasn't sure I was going to like it. The way the beginning sets up the main character' life is slightly clunky and I didn't know if I would end up finding his POV endearing or annoying. I am so so sooooo glad that I stuck with it. Once the sci-fi elements of the plot really start to kick in, it becomes fascinating. And then enthralling and kinda heartbreaking at times too. I 100% recommend this short story (/novella?). It's stuck with me for days now after I have finished it - and probably will for quite some time. I have loved the fun of these books so far - the dynamic between Cal and Danni, and what they discover through curiosity and growth (figurative and literal) is what really drives the story along. The character who has been much more disappointing to me, is our main POV for the outside world, Dale. It was interesting to experience some of these things through his eyes in the first book; but it seems that he has gotten progressively worse in attitude, at the same time as he has been given multiple opportunities (chances to cut down the time it would normally take to get skills, trainers, mentors, the best possible team, etc.). And whenever anyone points out that the general populace see him as a jerk, he acts all hurt. For some reason, it seems that the author thinks that because he is kind to a few very specific people, we should see that as a defining trait. But honestly, the most reoccurring trait for Dale - from the beginning - has been greed. That was much more of a rant than I meant to type when I began. I just was extremely annoyed by Dale many times. I enjoyed the other members of his new team immensely though - and was glad that we still got to see some of the old team members on occasion too. 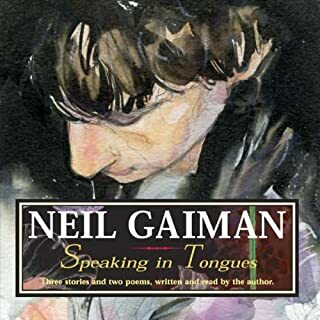 In Speaking in Tongues, Hugo, Nebula, and World Fantasy Award-winning author Neil Gaiman reads a selection of his own stories and poems, including "The Price", which he says "is more or less true. At least, the narrator...is pretty much me, the house is my house, the cats my cats, and the family is my family." Neil Gaiman has a way with words - that is almost universally acknowledged. And these short stories and poems were wonderful but the joy of listening to them was almost ruined for me by the music interludes (and occasionally music/sound effects under his words). 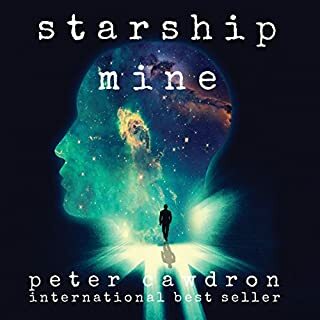 This might just be a problem for me - I get really bad frequent migraines and so am very sensitive to sharper tones - but it was a bit upsetting for me to have a story collection I would have otherwise utterly loved be made physically painful at times. &quot;Braiding Sweetgrass&quot; was definitely the type of book I felt happy to let sit within me a chapter at a time. 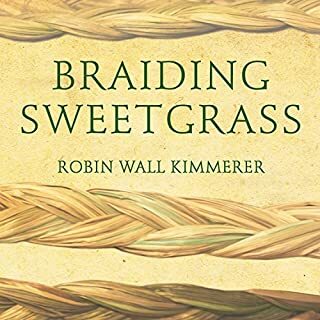 Robin Wall Kimmerer connects a lot of cultural and ecological ideas (interspersed with stories of her own life) in ways that resonated with me. I know that sometimes having the author read their own work is a bad idea, but Kimmerer has a great voice that really brings life to already wonderful material. A very atmospheric, fast read! 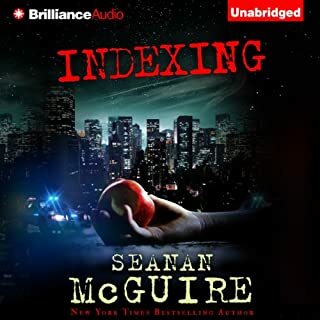 This audiobook was sitting in my library for a while and I am so glad I finally listened to it. 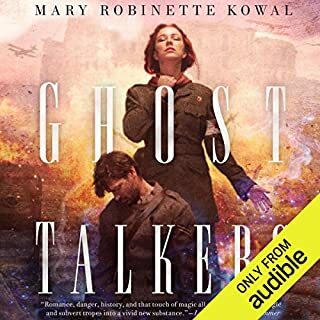 I was really impressed with the way Mary Robinette Kowal played out this concept - of medium's working with the military during war. The circles especially are amazing - the way they use injured and veteran soldiers along with volunteer civilians to anchor the mediums. I was very touched by this entire process/concept. When a catastrophic solar storm brings about the collapse of modern civilization, an Amish community in Pennsylvania is caught up in the devastating aftermath. Once-bright skies are now dark. Planes have plummeted to the ground. The systems of modern life have crumbled. With their stocked larders and stores of supplies, the Amish are unaffected at first. But as the English (the Amish name for all non-Amish people) become more and more desperate, they begin to invade Amish farms. I was enthralled by this book. Something about the pace of the life of the main character's family, and his community, was lovely and hypnotic. 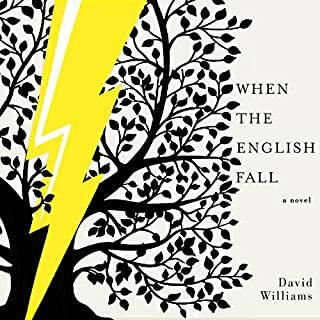 And it was very grounding to have the real tangible concerns of the land, the animals, and the health of family while the &quot;English&quot;society was falling apart. I would only warn that if you are looking for some exciting post-apoocolyptic story this isn't quite that - not really at all. It is an intimate character study of an Amish man, written in diary form. Weir is a master of putting words together. I was caught by this story with the first line and couldn't do anything but sit still and listen the entire time. The ending was unexpected - the whole thing was really, and the concept will stick with me. 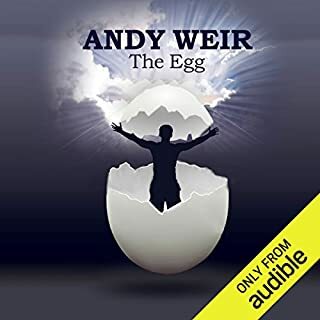 I will be re-listening to this one regularly - definitely get it if you are one the fence. It is short but worth it. I will just say upfront that I have never read any Jane Austen - but actually this has made me curious of the "Pride and Prejudice" that has hung around sadly unlistened to in my Audible library for years now. 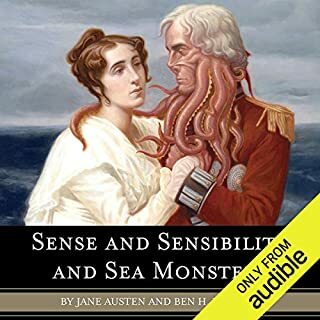 "Sense and Sensibility and Sea Monsters", delighted me the entire way though - the measured manners were always undercut with almost casual nautical violence that was way too amusing. I found the narrator to be wonderful at moving back and forth between the two. I don't know if it would be a book for everyone, but I know I loved it. 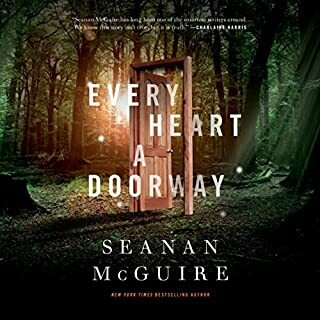 The more I read of Seanan McGuire, the more I find I enjoy this author's sense of character and world building. The concept of fairy-tales and the overall push of "The Story" on the world and particularly certain people, who fall into certain tropes (Snow White, Pied Piper, Evil Step Sister) - sometimes rather broadly - lives is a fascinating concept to me. It becomes especially as they show over and over again how so many others can be harmed simply by being caught nearby. I'll keep reading whatever is written in this vein - and probably simply whatever else McGuire writes at all.